Earlier today we were alerted to terrifying news that Leia Organa herself. Carrie Fisher, had been hospitalized after suffering a "massive" heart attack while onboard a plane bound for LAX. Since then we have gotten several updates suggesting that she is currently in stable condition, but unfortunately those reports were false. "We don't know. We hope for the best. We certainly do not know her condition, that's why she is in ICU. I'm sure everyone wants to speculate, but now is not the time for that." "She is in the intensive care unit, she is being well looked after. If everyone could just pray for her that would be good. The doctors are doing their thing and we don't want to bug them. We are waiting by patiently." Our thoughts are certainly with Carrie's family and friends tonight during the difficult time. 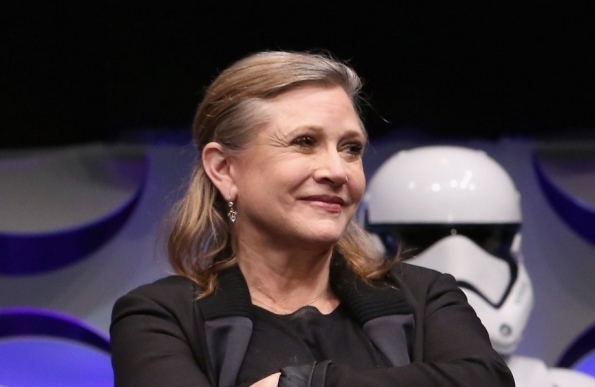 May the Force be with Carrie and may she have a speedy recovery!